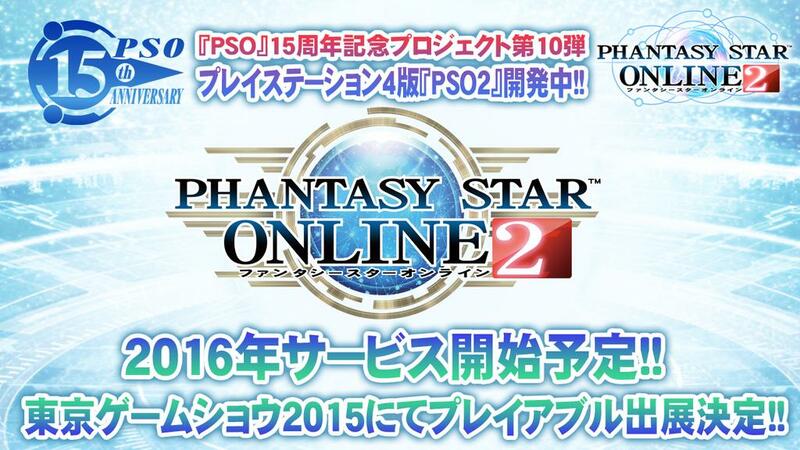 Phantasy Star Online 2 has been announced for the PlayStation 4 console and is slated for a 2016 release! This announcement followed the exciting reveal of Episode 4 during the ARKS Festival 2015 Special. Episode 4, along with its brand new logo, will be released sometime in 2016. The PlayStation 4 version will appear in playable form at the 2015 Tokyo Game Show! They should change the number 2 from the logo. I allways thought it has a very simple desing. Look the number 2 from PSP for example. They can do whatever they want release it on any platform but if the would just release it here in the us I would be fine with it. Sega’s did mention in their apology that they’ll be releasing “Japanese games” to the west! Could this be one of the “Japanese games” that they talked about? Not that I do not believe you (I do) but I would love to see a source for that statement and Sega’s apology. And fingers crossed for a western release announcement in the closing months of 2015! No. Just no. As if that would be good. Did you miss psu? Have you seen the messes with sea version? I personally wouldnt move. Japanese players are way more classy than we westerners. We would ruin it’s very nature. Ship 2 … yeah. Learn Japanese it really is that simple. PSU was released 10 years ago. The industry climate has changed. If Japanese players are so classy why do they make characters on Ship 2 for the sole purpose of reporting foreign connections to Sega? I’ve never been banned for speaking english on ship 2 in front of japanese players. Where’s your source to japanese making characters just for reporting foreigners. I take that bit back due to only having one source to cite (Reddit, lol), I made a mistake. Happens. Everything else I will stand by. The last thing I want to do is start a flame war. no. it says specifically on ToS that connections outside japan is not allowed. basically SEGA’s pulling money from the west without responsibility. mainly because they told you to keep out. Bah, always hoped for a Wii U release, but I guess PS4 makes the most sense. I wonder if the Vita version limits what they can do with the PC version in some ways, because it’s much weaker? No. Vita plays at lowquality or mdium. pso2 can run on a kachine 9 years old. Only difference i see is shading. It was made for the vita really. It doesn’t limit anything other than some emergency missions aren’t playable on the vita version but it doesn’t limit anything the PC can do. Do you mean that the Vita itself doesn’t allow the Emergency Quest or is it that the Vita users are not capable of doing the EQ properly? This can be slightly misleading so…can someone clarify? The vita will not allow for the acceptance of the mission. The gematsu run for example. No, it doesn’t mean that. The playstation TV is separate from the Playstation 4.
about 6 months before the release of the ps4, i thought maybe they were going to release pso2 on ps4 and that this might be what was holding back the western release. I have a feeling I was actually correct. They havent, to my knowledge, been able to make an agreement with sony yet on pso2’s western release but are still trying. Sony refused the last offer (in Feb?) but this actually makes sense. I kind of expected to have to wait until the ps4 version was released so I havent been thinking about it. SEGA just called to say they dont have plans of PSO2 PS4 in the west. well, you’re free to believe what you want. Sony declined a long time ago to localize Vita version due to having to shoulder all the cost of the localization. localizing the PS4 version would be just the same, even more expensive. the truth that SEGA doesnt have any more money to support a mmo in the west is behind all that. considering how SEGA is right now on localizing heavy japanese games on the west, the chances are smaller than the world ending as we speak. and no, even if SEA has an english version, they cant use that. they’d have to shoulder translation costs again. the cost is too big to see a real profit on a title series that flunked in the west in the past 3 localized games. besides, if the western region really saw it as profitable, a 3rd party publisher would have taken the license already, like what happened to SEA and Taiwan. couldnt reply to.your other post, but… the TOS dont say u cant connect from outside Japan. it says “You may not use outside(read:third party) programs to connect to the servers. this means no vpn,etc. Also it states u can play, but when it comes providing customer support, they dont have to give it to uo bc your not in Japan. Never says if you not in Jp , then.fuckoff… if that were the case sega would ip block the world. You know what, I wouldn’t be shocked if that was the reason for the delay. I bet they figure they can’t make enough money without a big console release too, and they may just want to get a backer like Sony to fund them so they can make a simultaneous PS4 + PC Western release. At the very least, they may just release it for PC for the US when the PS4 version launches. oh wow. Just stop. It’s not coming west. 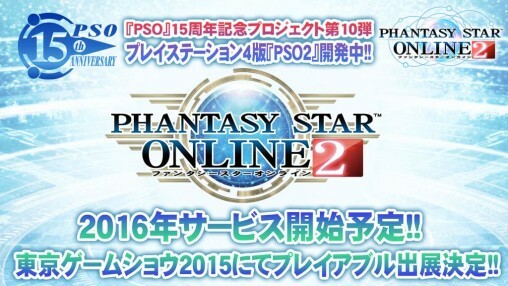 Might be a long shot but does this mean PSO2 is gonna get a graphical upgrade? And at last jumping away from the static hands and getting proper animated fingers with proper physics? Idk but from everything i’ve seen, games that are released on the PS4 that were on the PC or hand held consoles always get upgraded graphically. Hell look at games like Gunslinger Stratos Online, which i heard, is also getting a PS4 port. And though that game was made by Square Enix, it got a massive graphical upgrade. It could be possible if PSO2 only had ~30 chars total like stratos or GG (characters there require a month rough to be finished). But its a different case when you have to make something at a speed of two updates per month, and keep everything made prior relevant while at that. Speaking of which, city environment in Stratos is not that spectacular either. Well i was only speaking in terms of character animations and textures, but you make a good point, seeing as PSO2 has like a crap load of different character styles and outfit combinations and not to mention that almost every single player can look different from one and another. The amount of time it would take would be crazy. But eh…give me properly animated hand physics and moving fingers and lip synced cutscenes and i’m happy. Cause sometimes it would be nice to actually see that my character’s hands are holding a weapon or even pointing at something.